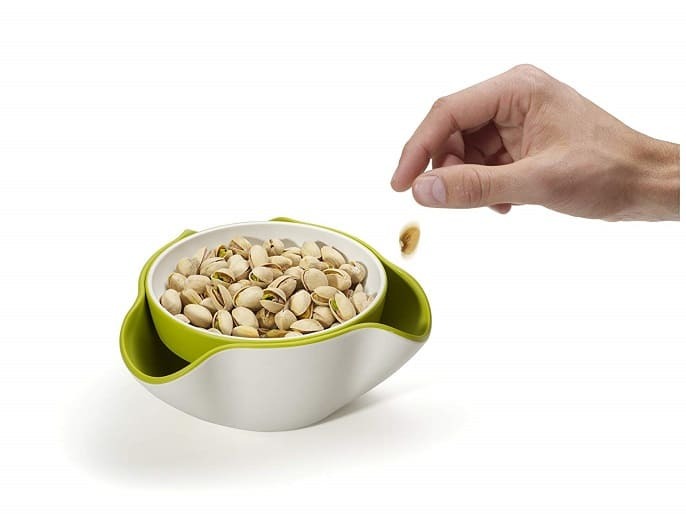 This cleverly designed Double Dish Pistachio and Snack Bowl is perfect for serving shelled nuts, olives, cherries, and edamame beans. 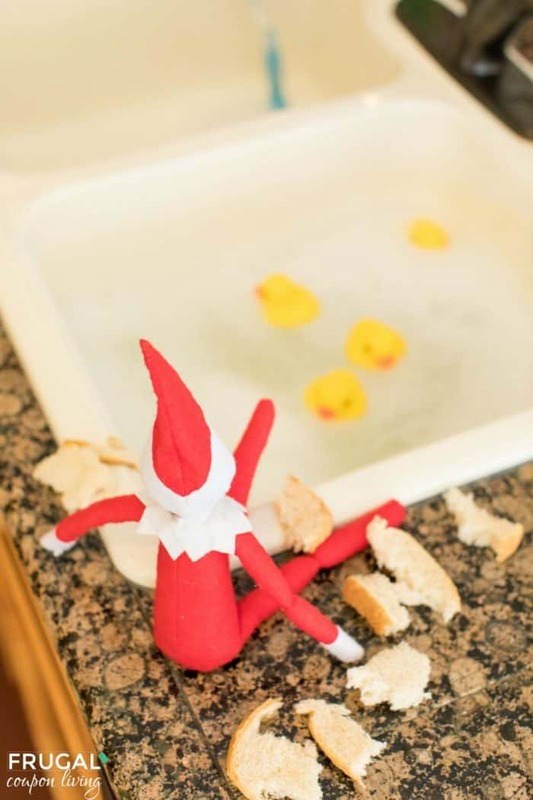 The unique design of Double Dish is a simple yet effective way of disposing of your unwanted or unsightly food bits instead of using a separate bowl. The bowl is set on top of a larger collection bowl and has three curved chutes letting you hide any waste in a discreet manner. Duck boots are super trendy and stylish, and this is one pair you’re going to want in your closet. Get these fabulous Duck Boots for 50% off – only $40 (reg. $80). I’ve been wanting a pair of duck boots, and these are just perfect. These boots are perfect for winter, and you can get them in black, cognac and brown. 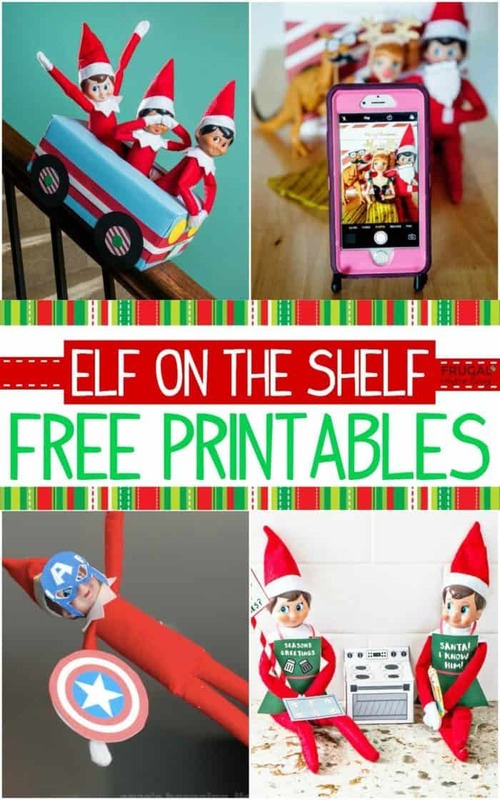 They are approximately 13″ tall, and have a lace up style and inner zipper. The bottom part is a harder material that is rainproof. You’re going to want these in every color! We have another fantastic sale on clothes going on today that’s perfect for work or a night out on the town. Today only, you can get Women’s Dresses and Tops for under $50. This Women’s Turtleneck Sheer Lace Blouse is gorgeous, and it would look fabulous with anything from dark jeans to a skirt or dressy pants. You’re going to want this in every color. 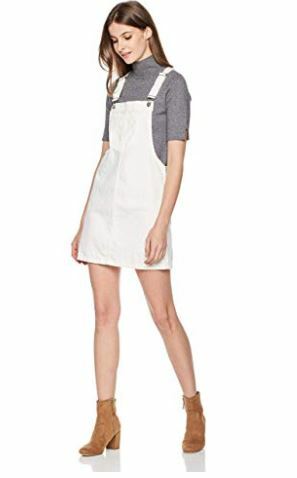 Overalls are making a comeback, and I just love this Lily Parker Women’s Classic Adjustable Strap Denim Overall Dress. Pair it with a cardigan and yor favorite boots for a fabulous look. 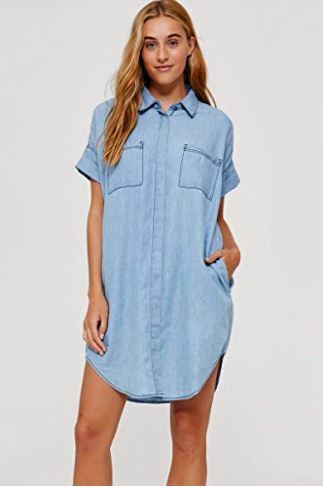 And, you’ll love this Chambray Shirtdress, which you can wear year-round. Pair it with boots or booties right now and wear your favorite sandals when the weather turns warm. Currently browsable Walmart Ad. 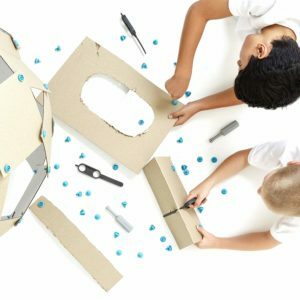 With this Cardboard Construction Toolkit, kid’s can turn a plain box into a dog, a robot, a dollhouse, a fort, or anything else the imagination can create. Be transported from a classroom or living room into a self-made creative play space. This is an open-ended project kit providing your kids with simple tools that combined with everyday cardboard, create sturdy, substantial and immersive play environments. This is such a fun way to store your kids’ stuffed animals while also adding to their room decor and giving them a place to sit and lounge. Get this Stuffed Animal Storage “Beanbag” for $16, down from $30. These canvas bags come in three colors – gray, blue and pink – and are perfect for cute, functional storage and easy cleanup. 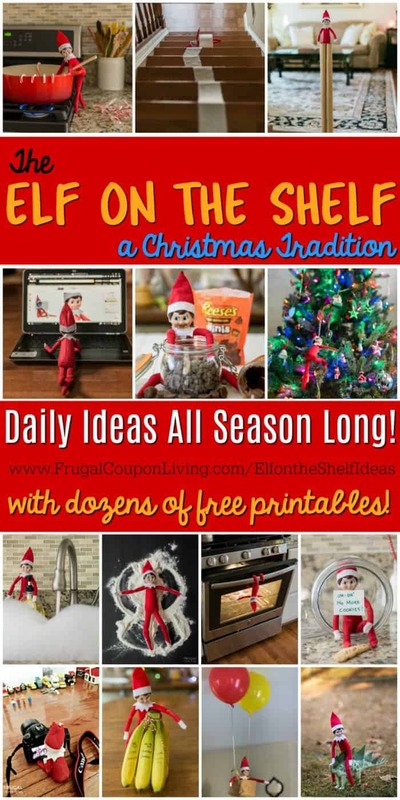 Fill them with your kids’ stuffed animals, or even towels or blanketsGreat for hiding your kids stuffed animals and even hiding/organizing your towels or blankets. And, when they’re filled, they make the perfect beanbag chair! 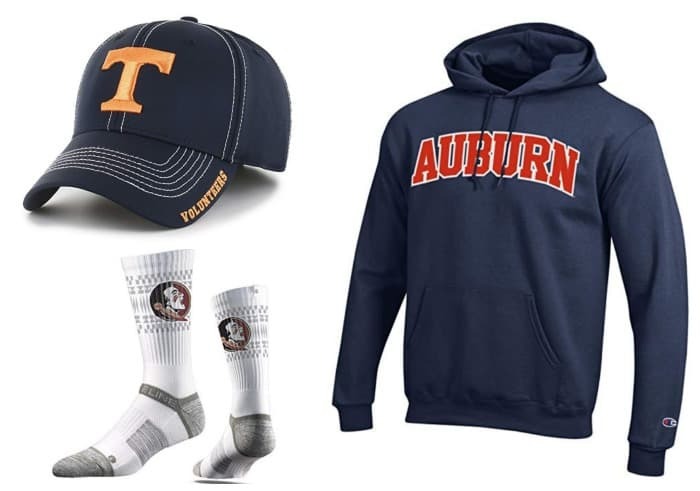 NCAA Fashion – Up to 35% off Today! 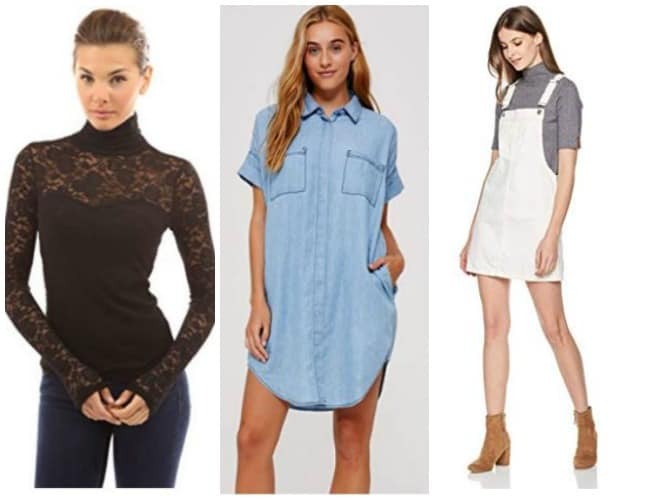 Today is Amazon 12 days of deals for fashion! Included in today’s sale are 35% off select NCAA styles.